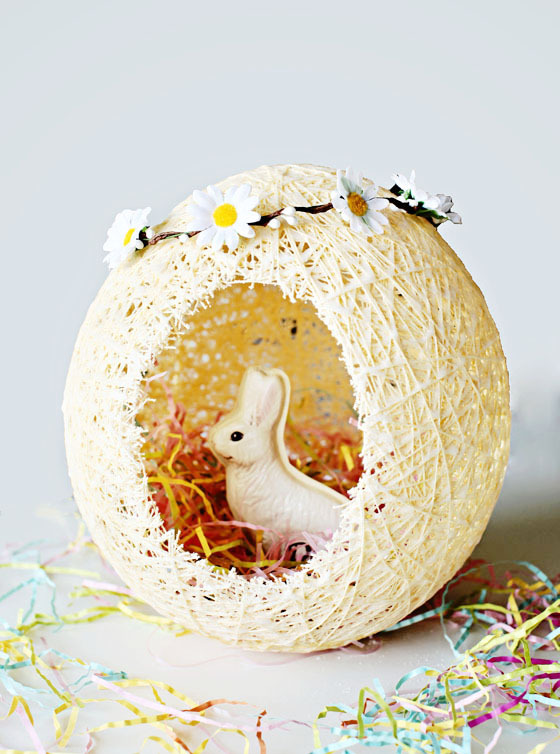 So Easter is pretty cute, right? 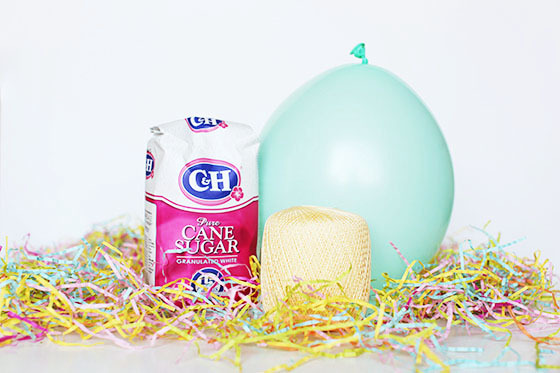 There’s adorable spring colors, cute little eggs to hunt for, and candy everywhere. 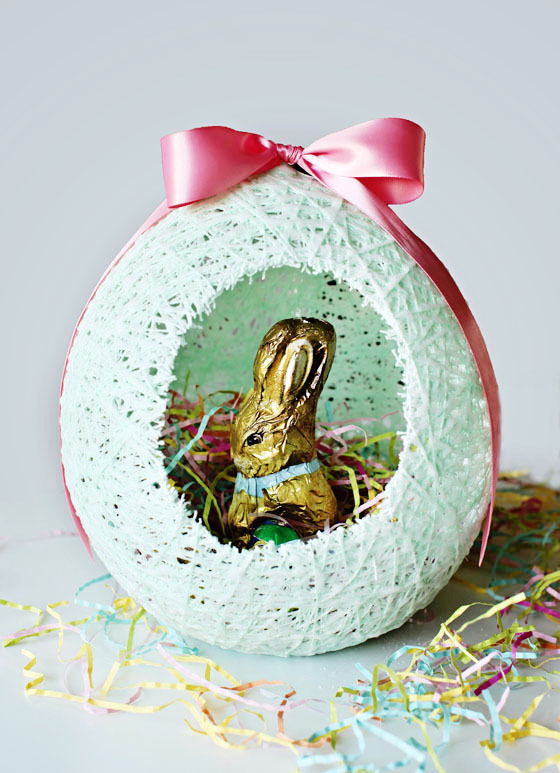 My nana used to make these amazing sugared string Easter egg baskets for me every year. I was obsessed with them and thought she was a magician or something because they were always perfect and sparkly and made with SUGAR. As I got older, she stopped making them, but there is not a year that goes by where I don’t talk about about her awesome Easter creations. That’s it! 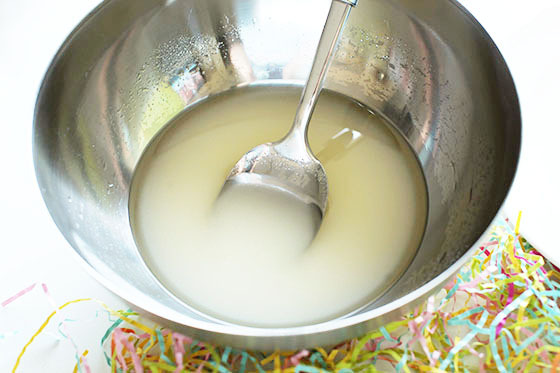 The sugar mixture dries to becomes a hard, sparkly, crystalized shell. 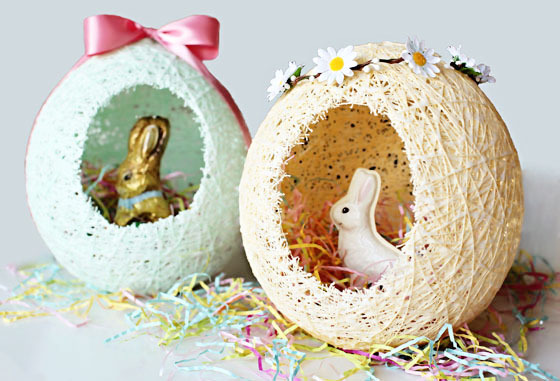 Decorate your little bunny houses how ever you’d like. 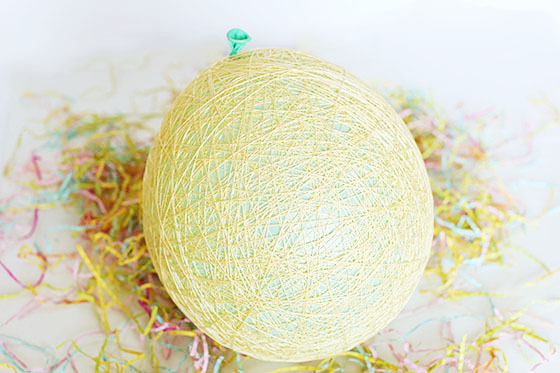 I used pastel colored crochet thread and white sugar. 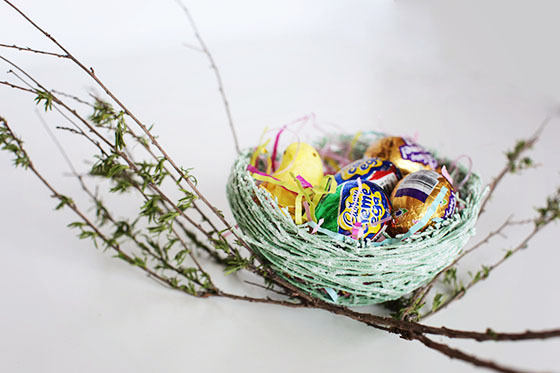 I like the look of the raw edge so I kept mine simple and decorated with colorful Easter grass, flowers, a bow, and of course a chocolate bunny and candy inside. 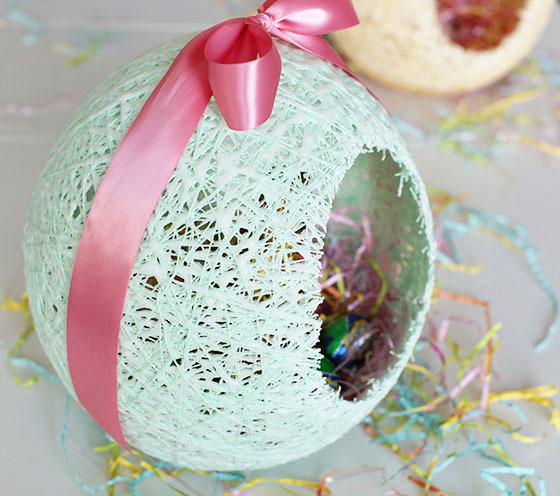 Click here to learn how to make these Sugar String Nests, too. Hi! 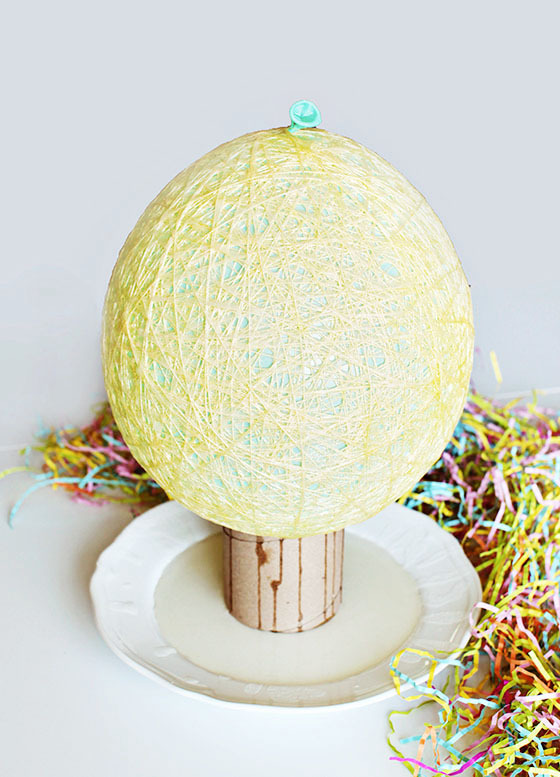 I actually still have the yellow one from this post and it is just as good as when I made it. So they hold up extremely well after they’ve dried for long enough. If you’re worried about ants you can spray the entire thing with shellac or poly sealer. Hope that helps! I made one about 40 years ago and did not use a spray preservative, and it still looks pretty good. We have weathered the years together!!! !